Nebraska just got huge news both figuratively and literally. On Sunday, the Huskers added to their 2019 recruiting class when 4-star (HV Rating: 91.5) offensive tackle Bryce Benhart‍ (6-foot-8, 303 pounds) announced his commitment to Nebraska on Twitter. The Minnesota native was an official visitor for what was supposed to be the first game of the season against Akron before it was wiped out by weather. He returned to Lincoln for an unofficial visit on Oct. 20 against Minnesota and was able to witness Scott Frost’s first win as Nebraska's head coach. Benhart was the Huskers' top overall target remaining for the 2019 class and was treated as such before the Minnesota matchup during pre-game festivities. Normally unofficial visitors are on the sidelines while official visitors are in the middle of the field where Hank Bounds, Bill Moos, Frost and others come to greet them. An exception was made for Benhart who got to go out to the middle of the field. He was also taken around to the offensive line drills to get a better look at his future in Lincoln. 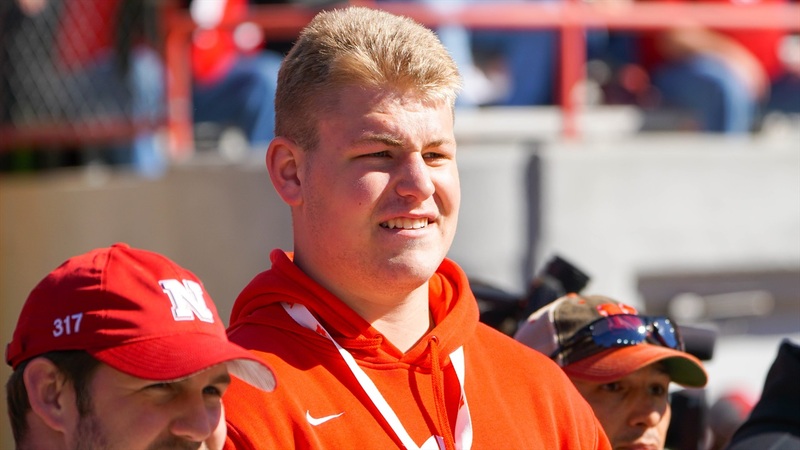 Benhart and his family formed a strong connection with Frost and offensive line coach Greg Austin throughout his recruitment. Nebraska beat out Wisconsin, Tennessee and Michigan for the Lakeville North standout. Benhart became the 19th member of the 2019 class. He is the fourth offensive line commit in this class joining Michael Lynn, Matthew Anderson and junior college star Desmond Bland.